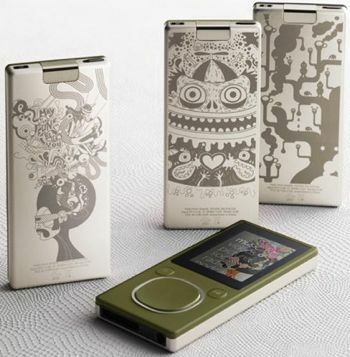 Cool Hunting has the scoop on Zune Originals, a collection of 27 original artworks by 18 international artists, designed to be engraved onto the back of the device. 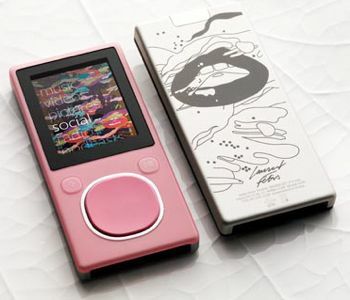 On the Zune Originals site, launching tomorrow (13 November 2007), visitors will be able to customize their Zune by size, color, illustration and with up to four optional lines of text‚Äîall free of charge, at least for the time being. While the Zune Originals “tattoos” aren’t an iPod-killing feature, they offer a welcome choice for buyers to personalize their portable media players…..and lots for options for the Zune Guy, too.